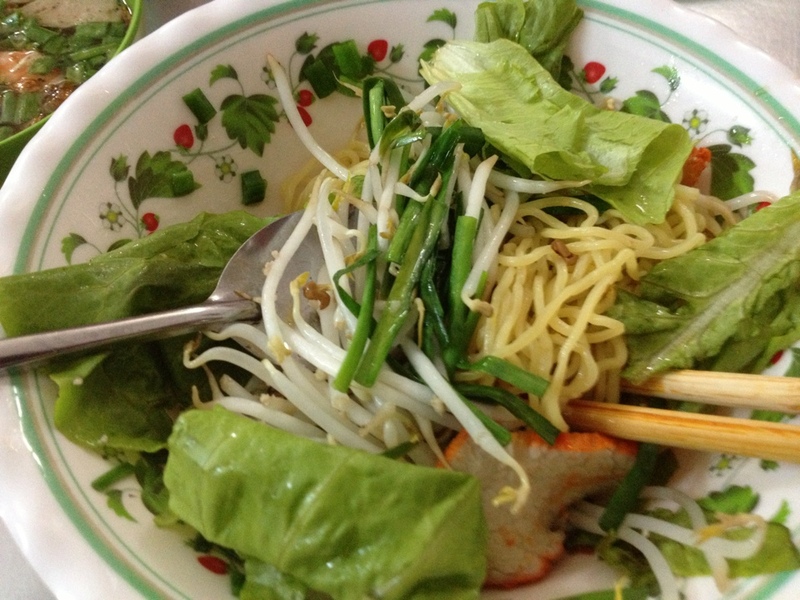 Clear noodle soup is one of the most elegant dishes. Whilst the broth is clear, the flavours are sophisticated. Silky, slightly chewy egg or rice noodles give texture, and a few slices of tender meat and juicy vegetables complete the symphony. 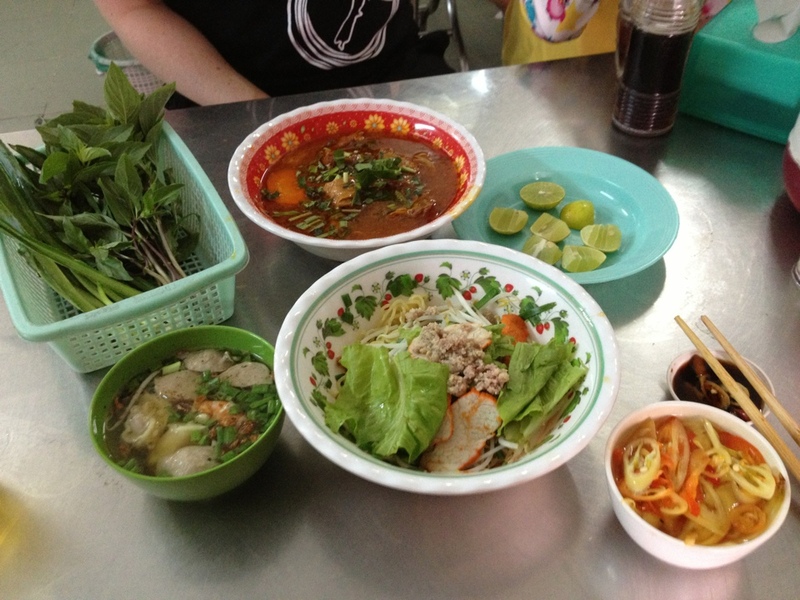 Then, the soup takes on the character of the person eating it as they choose whether to intensify the complexity of the dish with spicy and tasty slices of fresh chilli, sauce, freshly torn aromatic herbs and salad greens, and/or a squeeze of fresh lime juice. 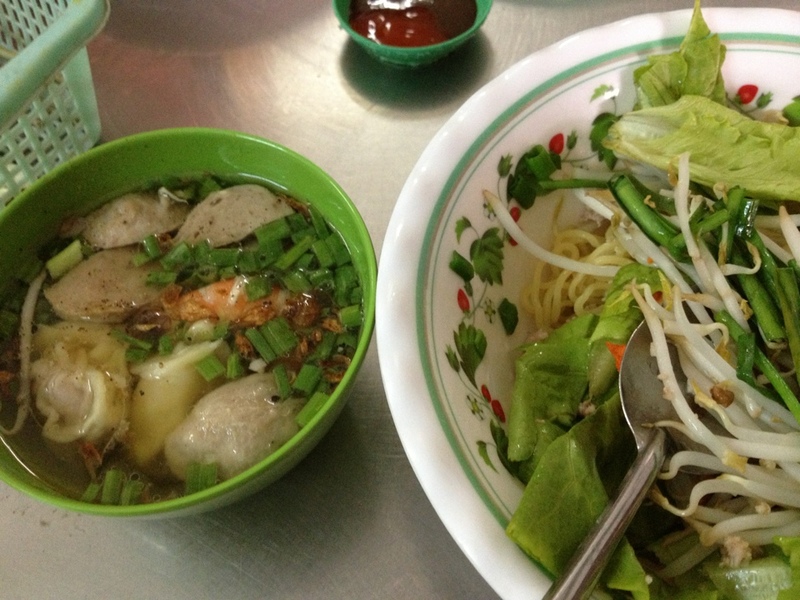 Noodle soup, or pho (pronounced ‘far’) is Viet Nam’s national dish. It can be eaten anytime of day or night, for breakfast or a midnight snack. 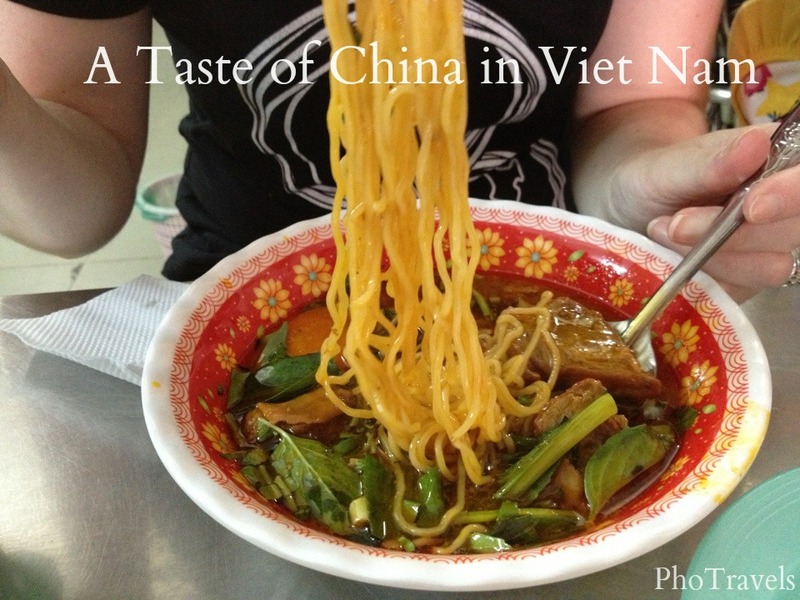 My favourite variety of noodle soup is Chinese, which has slightly chewy egg noodles with an addictive texture. 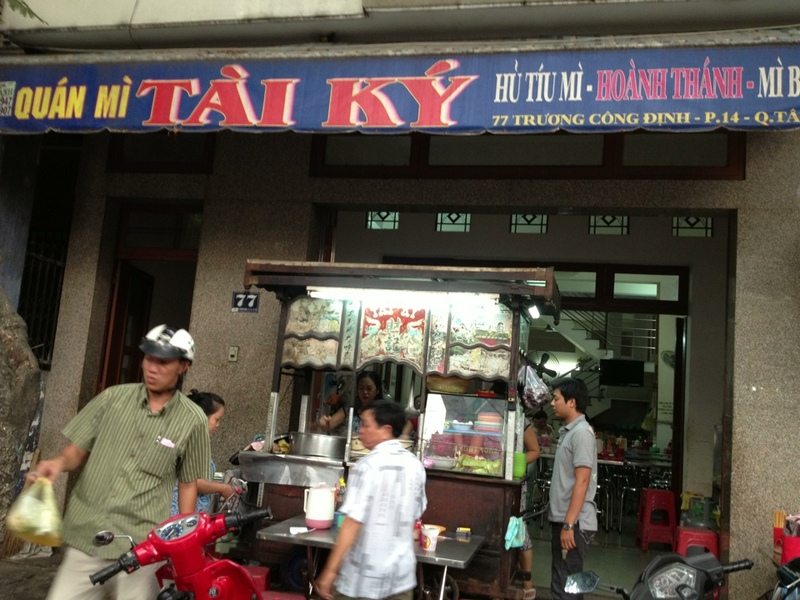 Tai Ky is a busy Chinese noodle shop in Tan Binh, Ho Chi Minh City. 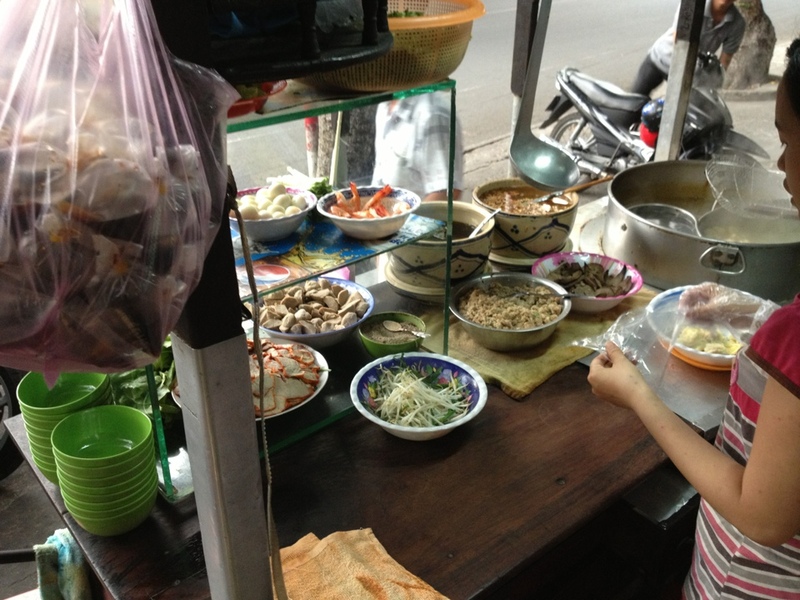 The food is all prepared at the front of the restaurant from a street vendor style stand. 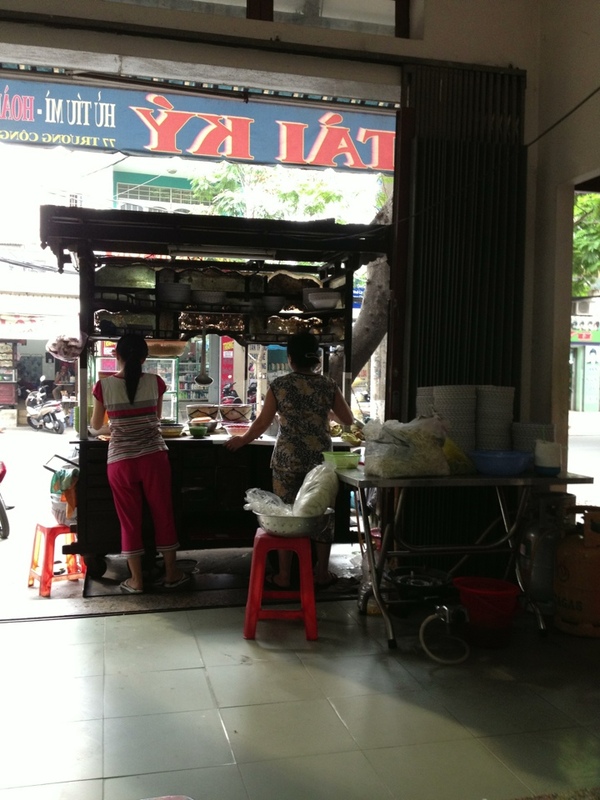 People can dine inside or park right out front on their motorbikes and wait a few minutes for their noodle soup to be packaged up for taking away. 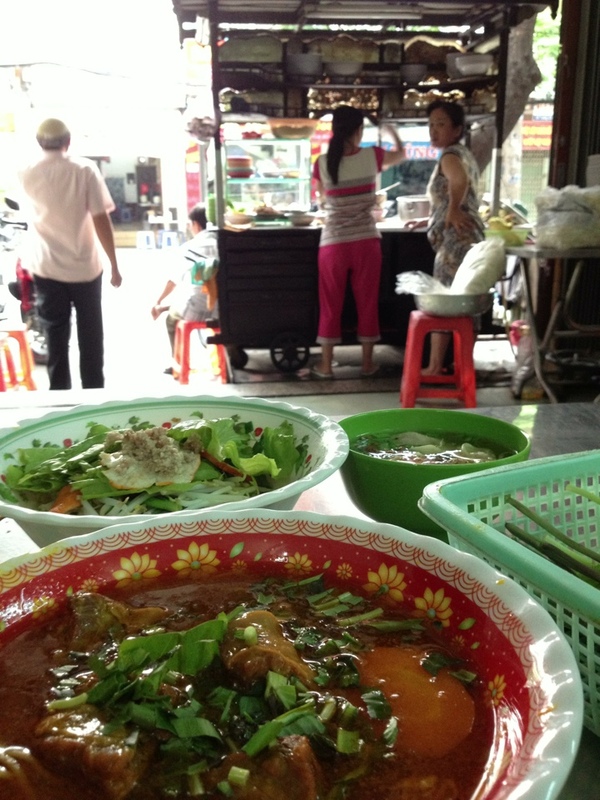 In addition to their signature noodle soup, they make a great beef curry (bo kho), ‘dry noodles’ (mi kho), and delicious won tons (hoanh thanh). 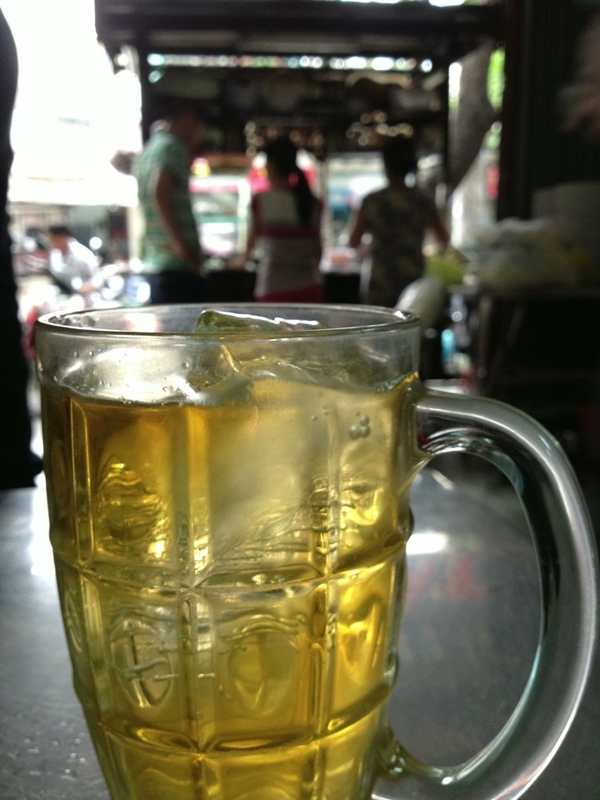 A perfect accompaniment to piping hot noodle soup on a hot day, is a refreshing drink of iced tea (tra da). 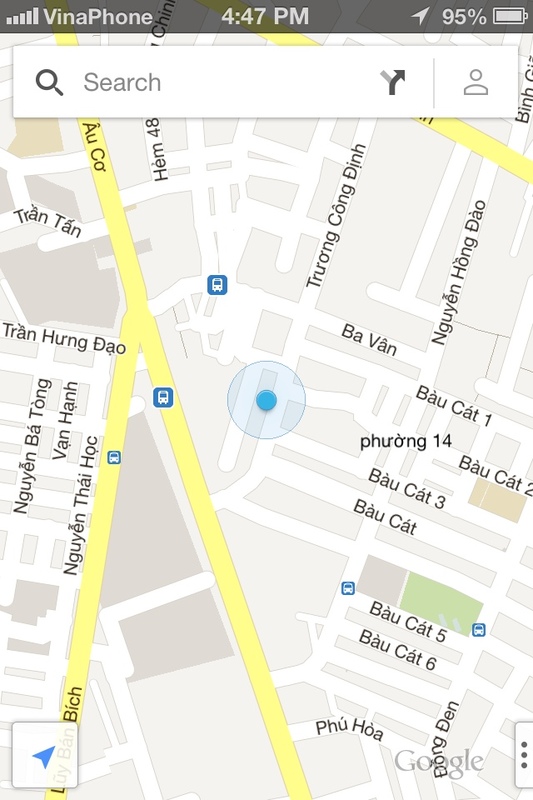 This entry was posted in Ho Chi Minh City, Viet Nam, Vietnam, Vietnamese Cuisine and tagged Chinese Noodles, Noodles, Pho, travel, Viet Nam, Vietnam, Vietnamese Cuisine. Bookmark the permalink.